How Can A Personal Injury Lawyer Help? - Bell & Pollock P.C. Home|Personal Injury|How Can a Personal Injury Lawyer Help Me? The trauma of a personal injury can present many new difficulties and challenges to accident victims. 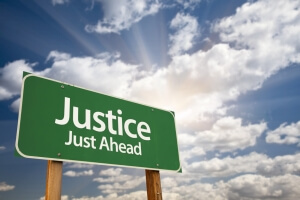 As they start to pick up the pieces and put their lives back together, having honest answers about their situation – and being able to rely on an experienced lawyer for help – can make all of the difference, empowering them as they get on the path to justice and financial recovery. Below, we will explain some of the specific ways a personal injury attorney can help you if you or someone you love has been harmed by negligence. When you are ready for more specific information related to your situation, as well as experienced help proceeding, contact Bell & Pollock, P.C. After an accident, the Denver personal injury lawyers at Bell & Pollock can help you in a number of ways, all of which can be crucial to your financial recovery. There may be more than one person or party responsible for harming you. For instance, after a car accident, another driver, an auto repair shop and/or an automaker may all be liable for an accident that hurt you (depending, of course, on the details of the collision). By consulting with an attorney, you can figure all of the parties that can be held accountable for the accident and your injuries, allowing you to maximize your financial recovery. Different situations can require different steps for proceeding – and the best steps to take next will depend on who is liable for your injuries, the type of accident you were involved in and a number of other factors. With an experienced lawyer on your side, you can get professional advice regarding how to proceed with your claim or case in the most efficient manner possible. As you focus on getting the medical treatments you may need, finances can get tight, particularly if you are not able to work for some period of time after your accident. To avoid intensifying these financial stresses, an experienced personal injury lawyer can get your case started at no upfront cost to you. In fact, if the lawyer works on contingency, as the attorneys at Bell & Pollock do, you will not have to pay for legal services until or unless a settlement is secured in your case. This means that you have nothing to lose financially – and potentially a lot to gain – by trusting an experienced attorney to proceed with your case. This can take some work, and a skilled lawyer will know how to investigate your accident and gather all available evidence on your behalf to build you a rock solid case. Additionally, to this end, an experienced lawyer will have the resources and skills necessary to present your case in any legal setting. This can be especially important if your claim involves more complicated events or injuries, corporate defendants who refuse to acknowledge liability, etc. Just because you may legally be entitled to compensation does not mean that the responsible parties will just hand over the payout you deserve. In fact, insurance companies, defense lawyers for businesses and other parties can be daunting opponents, fighting you tooth and nail at every step to avoid having to pay you if they can. An experienced personal injury lawyer, however, will know how to stand up to these parties, assert your rights and make sure that you get the full amount of compensation to which you are entitled. Whether this means aggressively negotiating outside of court or seeing a case through trial, ultimately, an attorney can defend your rights to compensation and justice so you do not have to worry about being victimized again. Contact an Experienced Denver Personal Injury Lawyers at Bell & Pollock, P.C. Let the Denver personal injury lawyers at Bell & Pollock, P.C. put their skills, insight and resources to work helping you. Call our firm at (303) 795-5900 or email us using the contact form on this page. By contacting us and attending a free initial consultation, you can get clear, honest legal advice about your case, your rights and your best options for proceeding from an experienced attorney.